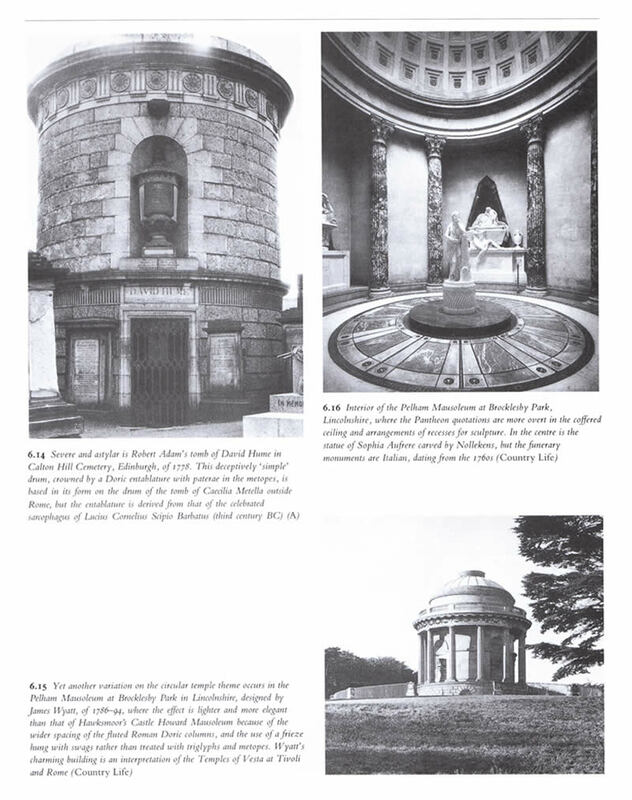 This illustrated book is concerned with the fundamental principles and various aspects of Classical Architecture, including a detailed, illustrated glossary that is almost a dictionary in itself. 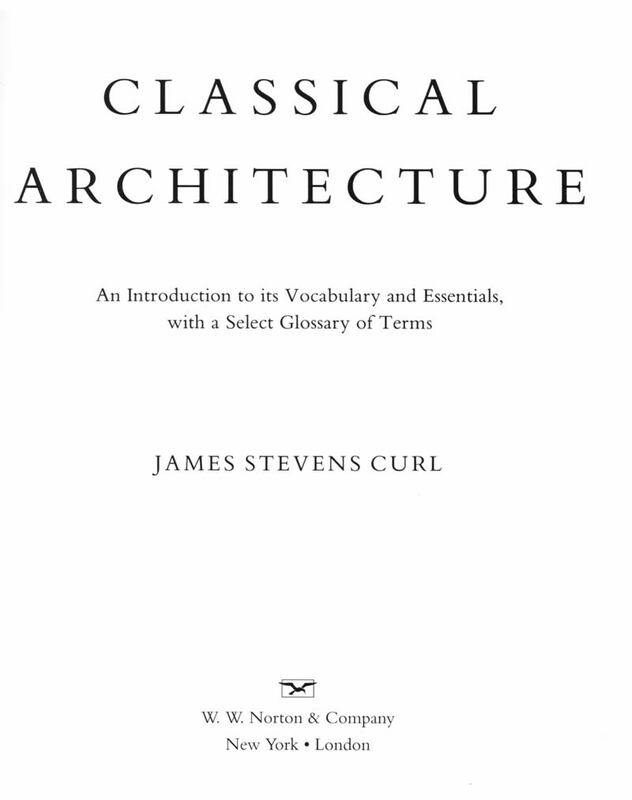 The text describes in clear, straightforward language the origins of Classical Architecture in Greek and Roman Antiquity, and outlines its continuous development, through its various manifestations during the Renaissance, its transformations in Baroque and Rococo phases, its re-emergence in eighteenth-, nineteenth-, and twentieth-century Neo-Classicism, and its survival into modern times. Words and pictures celebrate the richness of the Classical architectural vocabulary, grammar, and language, and demonstrate the enormous range of themes and motifs embraced by the subject. 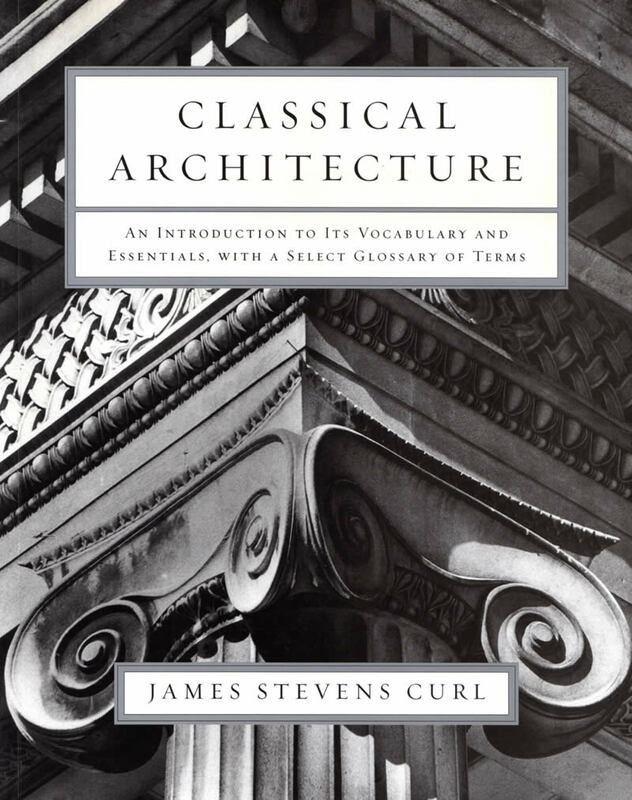 Classical Architecture: An Introduction to its Vocabulary and Essentials, with a Select Glossary of Terms (London: B.T. 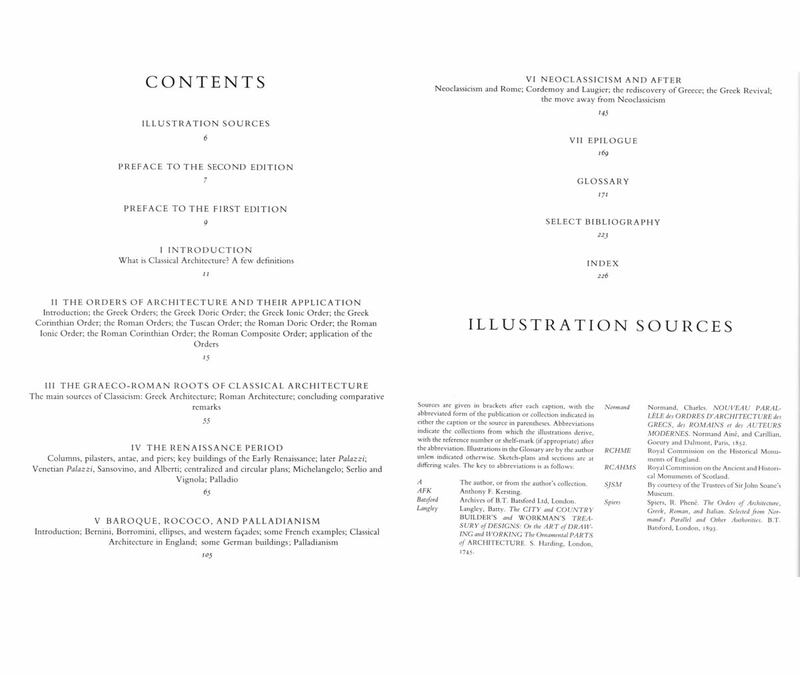 Batsford Ltd., 1992, ISBN: 0-7134-6772-X [hbk. ]).